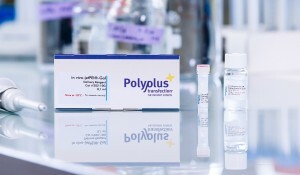 100 µl of in vivo-jetPEI®-Man delivery reagent is sufficient to perform 15 to 25 intravenous injections in mouse. in vivo-jetPEI®-Man is a mannose-conjugated in vivo-jetPEI® designed to enhance delivery to cells expressing mannose-specific membrane receptors, such as macrophages and dendritic cells. in vivo-jetPEI®-Man is the reagent of choice to deliver any type of nucleic acid to mediate gene expression or gene silencing in various tissues, with enhanced targeting to macrophages and dendritic cells. in vivo-jetPEI®-Man is a versatile reagent as it is suitable for the delivery of plasmid DNA, siRNA, shRNA, miRNA, oligonucleotides and mRNA. in vivo-jetPEI®-Man is a very easy-to-use delivery reagent. 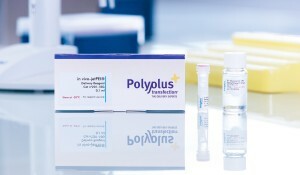 The protocol consists in preparing the nucleic acid and reagent separately in 5% glucose solution, mixing them together and then, after a 15 min incubation time at room temperature, injecting the nucleic acid/ in vivo-jetPEI®-Man complexes formed into animal (Fig. 1 ). 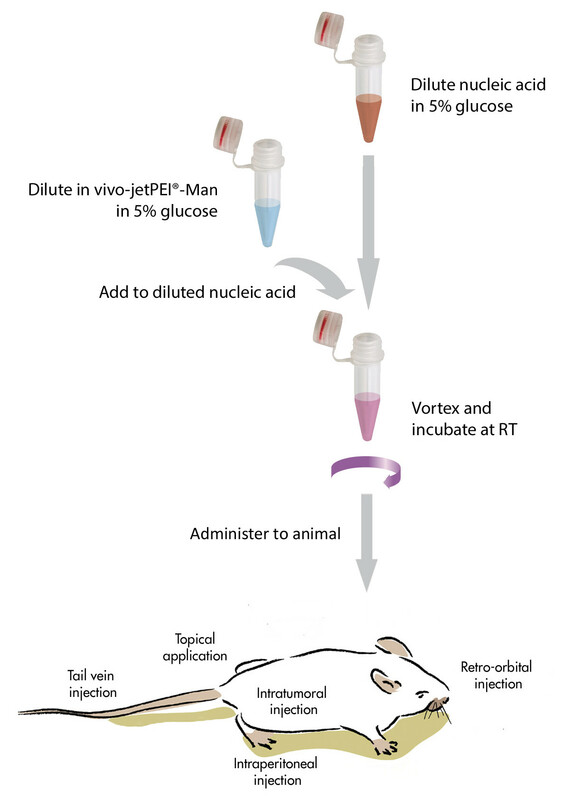 in vivo-jetPEI®-Man is ideal for nucleic acid delivery in mice. However, the protocol is so easy and versatile that it can be adapted to other species. in vivo-jetPEI®-Man offers a reliable and safe alternative to viral vectors as it does not induce any significant inflammatory response. in vivo-jetPEI®-Man is perfectly suited to study gene function in macrophages and dendritic cells in vivo and provides the easiest method for the validation into animals of in vitro functional studies. in vivo administration of plasmid DNA formulated with in vivo-jetPEI®-Man can elicit the induction of a robust and persistent immune response, hence protecting animals from different viruses or pathogens challenge. 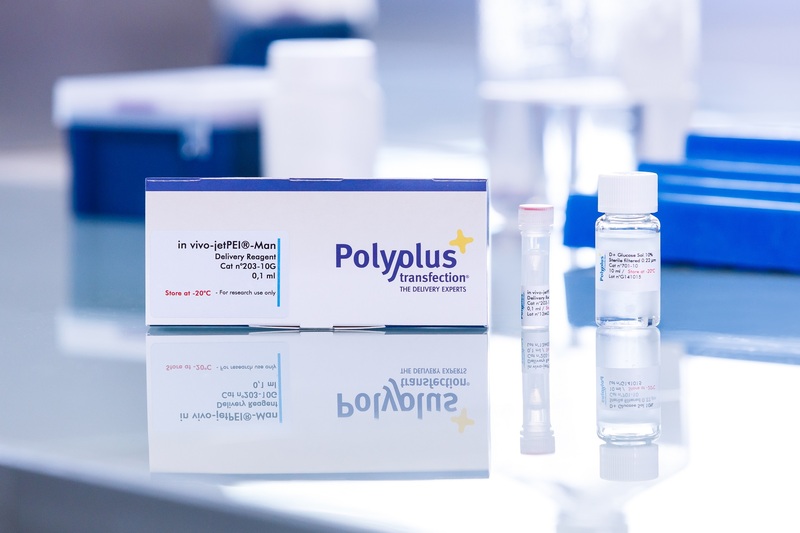 Here is a selection of relevant references using in vivo-jetPEI®-Man, more are available in our Polyplus-transfection Database. Lisziewicz, J., Trocio, J., Whitman, L., Varga, G., Xu, J., Bakare, N., Erbacher, P., Fox, C., Woodward, R., Markham, P., Arya, S., Behr, J. P., Lori, F. (2005). DermaVir: a novel topical vaccine for HIV/AIDS., J Invest Dermatol 124, 160-9. Lisziewicz, J., Trocio, J., Xu, J., Whitman, L., Ryder, A., Bakare, N., Lewis, M. G., Wagner, W., Pistorio, A., Arya, S., Lori, F. (2005). Control of viral rebound through therapeutic immunization with DermaVir., Aids 19, 35-43. Lisziewicz, J., Kelly, L., Lori, F. (2006). Topical DermaVir vaccine targeting dendritic cells., Curr Drug Deliv 3, 83-8. Lorincz, O., Toke, E. R., Somogyi, E., Horkay, F., Chandran, P. L., Douglas, J. F., Szebeni, J., Lisziewicz, J. (2012). Structure and biological activity of pathogen-like synthetic nanomedicines., Nanomedicine 8, 497-5. Smitha, S., Raina, O. K., Singh, B. P., Samanta, S., Velusamy, R., Dangoudoubiyam, S., Tripathi, A., Gupta, P. K., Sharma, B., Saxena, M. (2010). Immune responses to polyethylenimine-mannose-delivered plasmid DNA encoding a Fasciola gigantica fatty acid binding protein in mice., J Helminthol 84, 149-5. 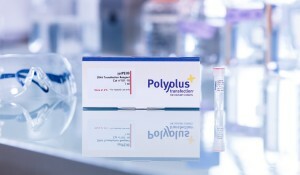 Each lot of in vivo-jetPEI®-Man is validated by DNA (pCMV-Luciferase) delivery into mouse through intravenous injection. The amount of luciferase (ng) per mg of protein is indicated on the certificate of analysis for each lot of reagent. Moreover, absence of endotoxin is verified in every lot of in vivo-jetPEI®-Man.